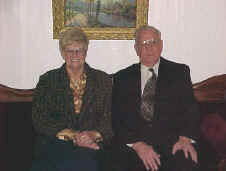 In 1999 the Click family established Click Funeral Home Farragut Chapel under the management of Larry J. Click. The purchase of a beautiful former church, located at the corner of Kingston Pike and Smith Road, continues to provide greater convenience to the West Knoxville community that has relied on Click Funeral Home since their inception almost 50 years ago. Click Funeral Home and Cremations Middlebrook Chapel, located in the Cedar Bluff area of West Knoxville opened in late 2011. All five Click Funeral Homes are thriving because of the legacy of compassion and professionalism that Glenn and Polly Click gave their children to continue.